Pope Francis recently met with a delegation of Pacific leaders urging leaders to curb heat-trapping emissions and blasting “shortsighted human activity” for global warming, rising sea levels, and the overfishing and pollution of the oceans. There is no question curbing heat-trapping emissions is critical in helping our earth’s natural systems remain in balance, but what about soil erosion, water scarcity, deforestation, loss of natural habitat, increasing extinction rates, depletion of fisheries, and the pollution in the waters, on the land and in the air? 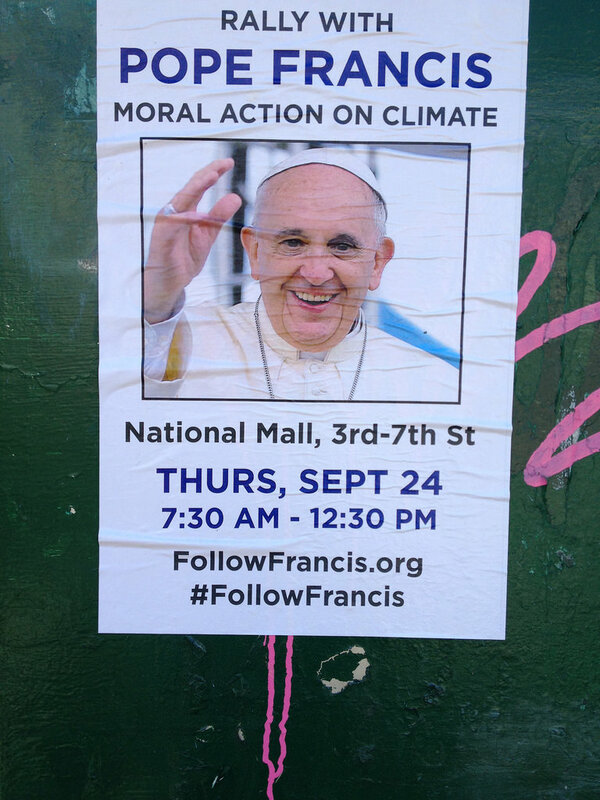 Does the Pope understand the common thread and upstream cause of all this ecological devastation? He should…. To demonstrate to the world that faith and science are inextricably linked AND compatible with church teachings, the Catholic Church established the Pontifical Academy of Sciences in the mid- 19th century. Today, that venerable organization is made up of approximately 80 scientists from around the world, a quarter, on average, of whom are Nobel laureates. Scientists agree we are consuming our global resources far faster than the ability of the earth to regenerate or absorb the wastes created from that consumption. We would have to cut global consumption in half in order to give our natural systems and the species that depend on them a fighting chance. As global standards of living improve, it is only human nature for all of us to want to live a better life, eat a better diet, have reliable electricity, affordable transportation, and comfortable shelter. If the Pope truly wants to lead us down a more just, peaceful and prosperous path, it means (unlike his predecessors) adopting his own Pontifical Academy’s findings and shouting unabashedly to the world that human numbers matter, matter a lot, and that the Church embraces a small family ethic.